Fortuna Silver Mines Inc (TSE:FVI) shot up more than 7% on Monday after releasing record production numbers from its silver-gold-zinc mines. In early afternoon dealings the Vancouver-based company was changing hands for $4.39, slipping back from a day high of $4.47 in morning trade on the Toronto Stock Exchange. Around 430,000 shares in the $550 million counter were traded by 2:45EST. Fortuna shares are up more than 40% since the start of the year. Fortuna reported first quarter consolidated production of 1.5 million ounces of silver (2.5 million ounces of silver-equivalent) from its San Jose silver-gold mine in Mexico and the Caylloma polymetallic mine in Peru. The San Jose mine produces 997,000oz of silver plus 7,600 oz of gold, beating expectations on the back of higher grades. 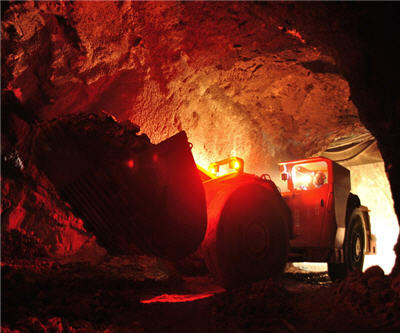 The mine has also been expanded with full operating capacity of 2,000 tonnes per day expected to be achieved this month and Fortuna said thanks to continued exploration success it may consider building a plant to up mill rates by another 50%. Caylloma delivered 540,000oz silver plus 3.9 million pounds of lead, 6.5 million pounds of zinc and some gold. On the whole silver production jumped 55% and gold more than 80% compared to the same quarter last year.